« Moving Sale – Lake Orion! 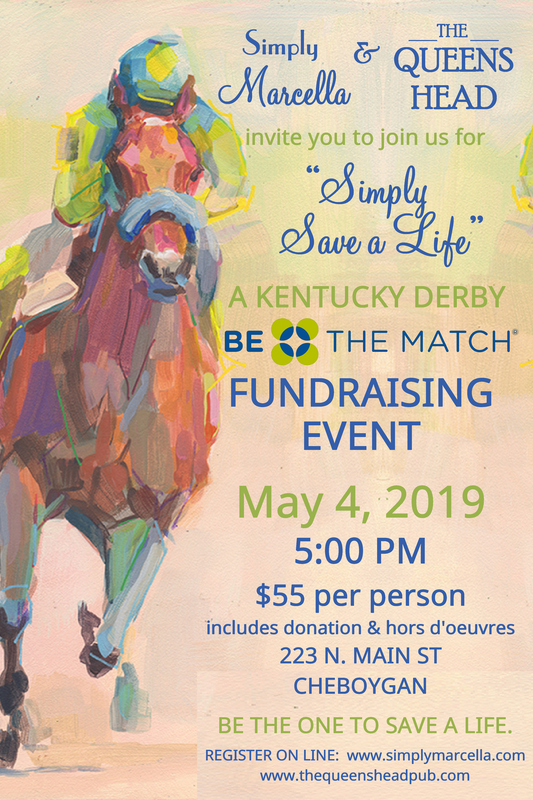 May 4th, 2019 at 5:00PM, Simply Marcella in Cheboygan and The Queen’s Head Wine Pub cordially invite you to join us for Simply Save a Life, a Kentucky Derby themed Be The Match fundraising event! Please note, advance registration is required. Sign up online (CLICK HERE), or call us at (231) 445-7100. Your reservation includes a donation to Be The Match and our signature hors d’oeuvres.